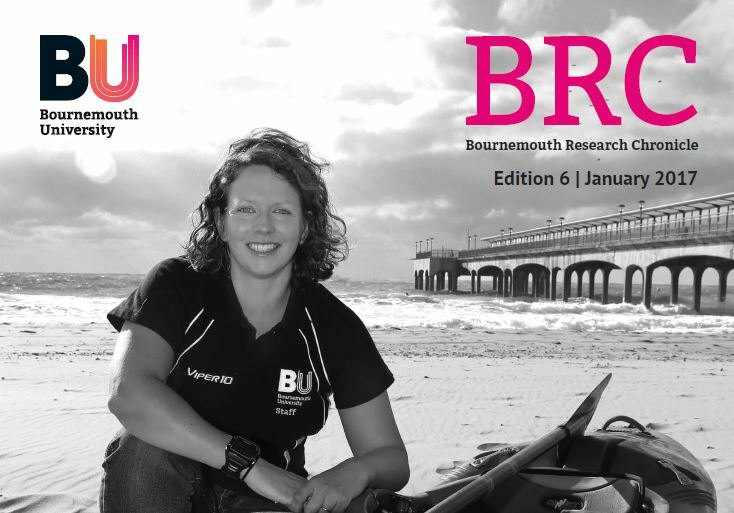 The latest edition of the Bournemouth Research Chronicle (BRC) is now available. The magazine shares just a small selection of the research taking place at BU, from working with local hospitals to shaping conservation practices in Indonesia to improving sports equipment. Complex global challenges are a defining feature of today’s world and universities can play a key role in addressing these challenges. Here at Bournemouth University, we encourage our researchers to work together with our students and external organisations – businesses, charities, and hospitals to name just a few – to find solutions to these issues. We believe that by bringing together research, education and professional practice, we can make a real difference through our work. We call this Fusion. This edition shares some of our examples of Fusion in action. You’ll discover how our academic community is working together to co-create solutions to global challenges and to better understand society and the world around us. You can also read about some of our newly awarded research grants and projects being undertaken by some of our PhD students. Our students are a key part of our academic community and are involved in a wide range of research projects at BU. In this edition of the BRC, you can find out about their fieldwork in Indonesia, Nepal and Spain, where they have been able to develop skills and gain experiences which will enhance their employability and help them later on. In Indonesia, our students have been working with local charities to improve conservation practices, while in Nepal, student journalists have been reporting on the aftermath of the 2015 earthquake. Locally, our researchers are collaborating with partner organisations in the region to extend our impact and make a real difference. One example is our work with the Royal Bournemouth Hospital, where staff, former patients and BU researchers have been exploring the idea of ‘humanised care’ and how this can improve patient experiences. We also encourage and support our researchers to work alongside businesses and other external organisations, enabling them to create projects that provide new, innovative ideas and drive industries forward. Just one of the ways we support this is through Higher Education Innovation Funding (HEIF), which allows us to support a wide range of knowledge-based interactions between universities and the wider world. In this edition of the BRC, you can read about two of our newest HEIF projects and challenges that our researchers are tackling. The Bournemouth Research Chronicle gives an insight in to the exciting work taking place at Bournemouth University every day. A full copy of the magazine can be read here.